Bo Jin Yan is a criminal psychologist who recently came back from America (always America!). He meets Jian Yao aka Yao Yao, a simple girl who just happens to be perfectly observant and a great translator at that. He hires her as his assistant and they work together to solve mysteries and crimes and unintentionally become the center of one. Can they fight their way through or will someone lose more just than their heart? If you read my earlier recaps of this drama you would know how utterly excited I was about this series. Riding off the high of I Remember You I was desperately in need of another crime drama to carry me to the end of year and I thought I had found it in Love Me, If You Dare. The first half of the drama was really good. I loved that there was a new mystery to solve in every episode (though some suspense of belief was needed as always) and the budding romance between our OTP. 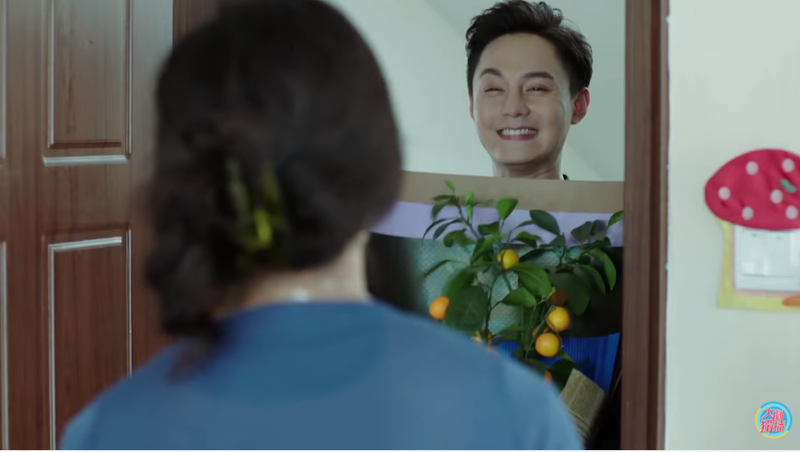 Wallace Huo as Simon was this awkward genius (as all geniuses are) who couldn’t figure out how to make advances or confess his attractions, but when he did – it was so adorable you can almost hear me squeal. Ma Si Chun as Jian Yao was a bit dull, but perhaps that was her character. Needless to say, I didn’t find her useful in this drama besides being a catalyst for Simon’s change in behavior. The second half of the drama, however, really bombed. Once the bad guy came out the story completely unraveled itself. There was so much buildup and anticipation for this criminal mastermind in the first half that when he showed up everything about him was a total let down! From Edward Zhang’s unconvincing acting to the plot line full of holes to the weird English/Chinese conversations and the sub-par cameo characters, none of it lived up to my expectations. 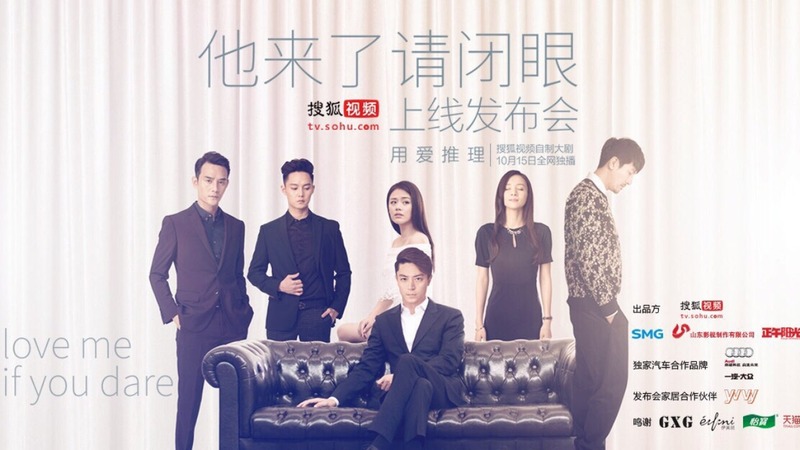 While I was eager to catch up to the latest episode earlier in this series, I reluctantly recapped it out of “obligations.” Sure, the scenes with Wallace Huo in it were still really good, but one good actor can’t redeem the whole show. Perhaps Wallace just had too much onscreen presence that whenever Edward appeared I felt like he was lacking in comparison. I think in order to have really made this work they should have cast someone of Wallace’s equal caliber to be the bad guy, especially if you are to build up the suspense for 13+ episodes. Maybe it’s not that he is a terrible actor – and I’ve seen him in one other drama – he is just not the right fit for this particular character. I’ve already mentioned my feelings about Ma Si Chun, but I’ve got to say that her character plummeted in the second half. Aside from shedding some very non-emotional tears and professing her undying love for Simon, she really doesn’t add much to the story. I think both Wang Kai and Andrew Yin did a much better job than she did and they were just supporting cast. Also, what’s up with the unresolved ending to Wang Kai’s character? Did he have to leave to shoot some other films and couldn’t finish up his story? It was just kind of randomly left behind. And the introduction of a love interest for Andrew’s character at the very end? Also strange. Over all, I think this show started off really strong, but it’s as if they changed screenwriter midway through. I’m not entirely disappointed and I might give a sequel (if any) a shot, but I’m probably not going to jump on it as quickly as I did this time around. What did you guys think? Sound off below! Wallace Huo had a very prolific 2015 and is headed off to an equally busy 2016. He will greet us in a 50 ep period piece with Liu Shi Shi called The Imperial Doctress (to debut 2/13!). 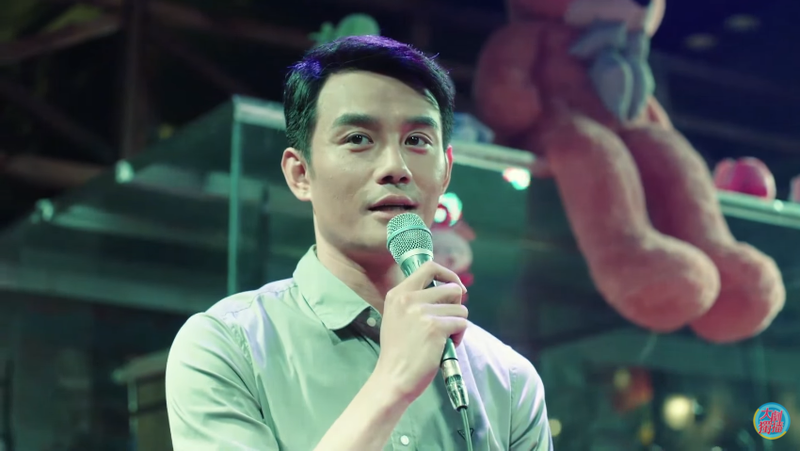 His new action/crime movie Inside or Outside premiered 1/22, and two more will come out later this year, including RESET, a sci-fi action film, and a Zhang Yi Mou production 28 Sui Wei Cheng Nian (meaning: 28 years old, not yet an adult). Fun fact: He has an older brother who is the police chief of the Taipei Nang Gang branch. Ma Si Chun became famous after being cast in Dad I Was Pregnant with Your Child (it’s not as perverted as the title suggests!) when she was a sophomore in college. She was the main character in popular movie The Left Ear, directed by Su You Peng in his first attempt behind the scenes; Yang Yang was in this as well. She will be in the movie version of the The Lost Tomb July this year opposite Lu Han and Jing Bo Ran. Here’s to hoping the movie will be better than the series! Though Wang Kai’s father really wanted him to become a pro-athlete, pushing him to play soccer at age 5 and taking him to learn diving, but he had always known he wanted to be in the entertainment industry. However, he gave up his college career when his father’s company allowed him to take over his dad’s job. He continued his dream through taking up commercials and eventually convinced his parents to let him go to The Central Academy of Drama. His new show Legend of the Qing Qiu Fox is premiering today! Andrew Yin was recently in Goodbye Mr. Loser where he gained a lot of notoriety. Aside from acting in dramas, he sings and did two years of theater. He speaks Mandarin, Cantonese and English, and has a black belt in taekwondo. Thanks Estelle for the review. I am half way through the drama for now and yes episode 13 onwards is a little intense. Hence need to be able to find time to sit and watch the remaining episodes running 😉 Not sure if you will be celebrating Lunar New Year, if yes, here wishing you a great year of the Monkey. Yeah, I agree with you that this was a disappointment. I watched the first 7/8 eps in a week and thought it was decent, the cases were a tad slow to resolve but it was interesting enough. But then, the romance… didn’t do anything for me, Xie Han was ok, at least he was way more interesting than the one that pops out later… oh yes the English/Chinese combo was annoying, apart from Susan who held it together all of the other English speakers were so stiff. Overall, it looked flashy on the outside (great looking people, great looking cars, locations etc…) but the main mystery just falls short. And I’m annoyed they cut Wang Kai’s karaoke scene. He has a great voice! LOL. Anyway , great recaps on this ! I just finished the drama last night and totally agree with you. I should have trusted my instinct but I resumed and persevere for Wang Kai’s performance which were just snippets and yes like you said, hanging in the end. I don’t understand the need to effect Simon’s appearance when the director wanted to portray him as Allen. Contact lens needed to make him look more menacing??? The last shot was actually cringe-worthy. The story could have been better but it left me wondering, why involve USA? Why?? If Wallace Huo’s character was living in the USA, how could he not converse in English, fluent or otherwise with the Americans? It just boggles my mind that this production team could get away with such arrangement where both sides conversed in their own language and voila!! they could magically understand each other. I mean it is fine if they decided that by default for the sake of audience that each side speaks in their respective language. But then you get an American who speaks in English and the Chinese person replies in faltering English. I wasn’t impressed with Wallace Huo and Ma Si Chun especially. The American FBI agent Susan was good, but the tall guy who was adamant to bring in Simon, the production team was trying to pass him off as American WTF!!! Big disappointment this one but got a high rating in some website OMG (roll eyes). Well, after Nirvana in Fire and The Disguiser I basically have higher hopes for productions from China. There are a few out there I believe…..yet to be discovered. I definitely need to rewatch “When a Snail Falls in Love” and pretend it’s a sequel. Wang Kai deserves love too!